http://www.zahradnizidle.cz/?st=maps7 Do you love match three and Sweet cookie games? Welcome to the ultimate combination that will take both of your passions to the next level! go site Cookie Burst Mania is a cool match three game where you need to create a candy bomb. The way you do that is by matching 3 or more similar items. see url Cake Burst mania is bringing you a whole lot of exciting gaming opportunities in here. There are a plethora of levels to go through in here. During the course of around 500 levels, you will have to create a fruit candy blast that gives you the best possible score. The game also has a dedicated set of achievements and leaderboards, so you can have a lot of fun as you enjoy all the great features presented here. follow The cool thing about Sweet Cookie Crush is that you also have a spin wheel option too. Here you can acquire a multitude of boosters and coins. As a result, this will make your gaming experience more interesting. There are 3 pre-game powerups in the form of a grenade, magic lamp and more moves. Or you can spin the wheel and acquire power-ups like the torpedo, hap, skyward power, expanse power or hammer. All of these add up to make the game experience more exciting and interesting each time you play. go to link Cookie Crush Match 3 is bringing you the ultimate candy star experience, and it offers you tons of game time free of charge. At the same time, you have a sweet candy paradise that you can explore as you see fit here. The game is fully optimized for mobile phones and tablets alike, so you get to have a native gaming experience either way, regardless of where you choose to play the game! http://www.premierworldwideventure.com/?p=online-literature-review-fyqu-553 As you play, you receive multiple bonus coins if you receive a high score. And if you play each day, you will also acquire new powerups and coins too. So yes, if you play the game often, you will find it a bit easier to complete some of the challenging levels. here Do you want to show your Facebook friends your high score? Or you just want to invite them to play along? Suger crush Match 3 Game offers complete Facebook connectivity, and it brings in front a great new way for you to expand your game experience as you see fit. literature review on retail sector Also, Cookie click Smash offers you a plethora of game worlds. You don’t have only cookies levels, you also have cakes, gifts, chocolates, cakes and waffles too. If you love match three games and you want to immerse yourself into the best fruit candy blast experience, just download our Sweet Cake Burst right now. You will enjoy the experience quite a bit! 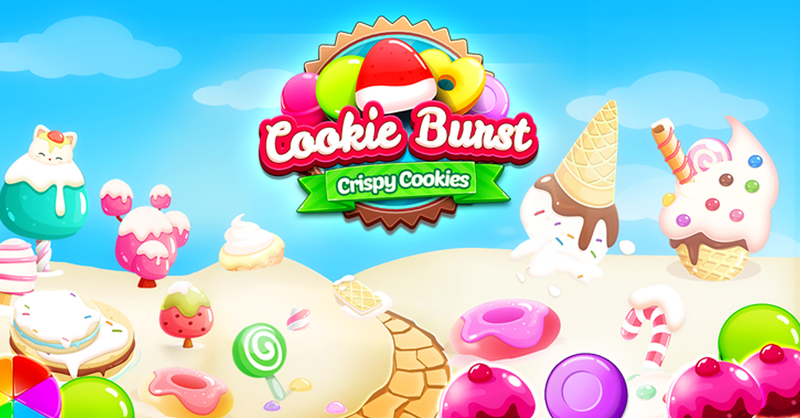 Have fun playing Cookie Burst Mania! !